Nikko, with its World Heritage sites and beautiful nature, is one of the must-visit destinations in eastern Japan. We introduce an itinerary that uses the Nikko Pass, which includes a visit to the exciting Tobu World Square and to Nikko's heritage sites! 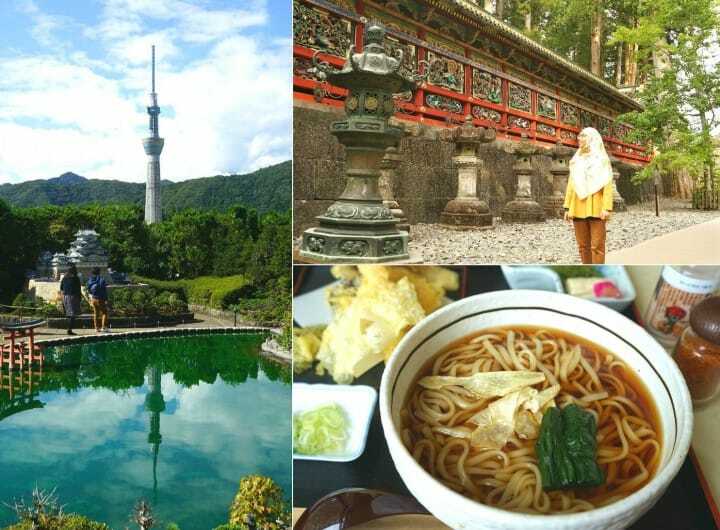 Nikko - Japanese Culture, Beautiful Nature, and Wonderful Theme Parks! Nikko is a popular travel destination for both Japanese and international tourists. Most famous for being the place where some of Japan's most beautiful World Heritage sites are located, Nikko is actually sought for its rich nature and fun amusement facilities too. The best way to enjoy a trip to Nikko is by using the convenient Nikko Pass, which includes unlimited bus and train rides in the Nikko area and is available in two variants: Nikko Pass all area (valid for 4 days, 4520 yen) and Nikko Pass world heritage area (valid for 2 days, 2000 yen). While both tickets include a basic fare ticket between Tokyo's Asakusa Station and Shimo-Imaichi Station, the Nikko Pass all area can be used also in the Oku-Nikko area, covering bus transportation, ropeway and a cruise on Lake Chuzenji. For more details on the Nikko Pass all area, please refer to the articles below. This time we will be using the Nikko Pass world heritage area (2000 yen), which is valid for 2 days in central Nikko, where the World Heritage sites are located, and in the Kinugawa Onsen area. In addition to unlimited bus and train rides, this ticket includes discount admission to exciting facilities such as Tobu World Square and Nikko Edomura! The itinerary introduced here is especially recommended to Muslim travelers because the facilities are provided with prayer rooms and offer Halal menus. We will be accompanied by Diyana, an exchange student. In this article, we will introduce her impressions about the trip to Nikko. In order to make most of your time in Nikko, we recommend departing early from Tokyo. You can take the 8:00 limited express Kinu which will reach the Tobu World Square Station at 9:56. The Nikko Pass world heritage area can be purchased on the day of your departure from the Tobu Asakusa Station Tourist Information Center which opens at 7:20. Nikko is a popular destination so on holidays and weekends, you might have to wait in line to get your ticket. Reserving it online in advance will help you save time, as the procedures will go faster. Please be aware that while the Nikko Pass covers the basic fare ticket to Nikko, a reserved seat ticket is required additionally in order to ride the limited express. Seat reservations can be made at the Tourist Information Center at the time of purchase. After you get your Nikko Pass and seat ticket, show them to the railway staff at the ticket gates. Afterward, take your seat in the limited express and enjoy the ride to Nikko. 10:00 - 11:30 -- Travel around the World in One Hour - Welcome to Tobu World Square! Tobu World Square is an architectural theme park located in the Kinugawa Onsen area of Nikko. Opened in 1993, the facility features 1:25 scale reconstructions of 102 famous buildings from all around the world. Upon entering the park, the first exhibits you'll see are Tokyo Station, Tokyo Skytree, Terminal 2 of the New Tokyo International Airport (Narita Airport), Tokyo Tower and other landmarks of Japan's capital. Only here is Tokyo Skytree so close to Tokyo Tower that you can get them in the same picture! The exhibits literally take you all around the world - from Europe to Egypt, and from America to Asia. Of course, they provide the chance to take some fun pictures to share with your friends. The most impressive feature of these reconstructions is how detailed they are. Not only are the buildings themselves recreated with great attention to details so that they resemble the originals, but even the crowds of people visiting these landmarks are represented using thousands of tiny dolls. The exhibit that impressed Diyana the most, was this recreation of the Taj Mahal. The reconstruction is so elegant and detailed that it makes you want to go see the original someday. The area showcasing famous buildings of Japan such as the Golden Pavilion in Kyoto, Todaiji Temple in Nara, and Itsukushima Shrine in Miyajima was also extremely beautiful. One can definitely have fun here all day, admiring each exhibit at leisure and taking pictures. Right by the main entrance to the Tobu World Square, there are prayer rooms. If you want to use a prayer room, tell the staff at the Information desk and they will open the room for you. There are two rooms separated by gender, both provided with a space for ablution. After you finish, please drop by the Information desk to tell the staff that you left the room. There are three dining places within Tobu World Square. To guests who prefer pork-free and alcohol-free dishes, we recommend choosing Heian, which is located just by the entrance on the left side. The restaurant has a cozy, Japanese atmosphere. English language menus are available, specifying which dishes are Halal. We chose the Yuba Soba set meal (1,600 yen) because yuba (tofu skin) is a specialty of Nikko. The set meal includes soba noodles topped with yuba, tempura (made with Halal oil) and pickles. Before leaving Tobu World Square, stop by the gift shop to pick up souvenirs of your visit. Their original postcards and goods, themed around the exhibits, make great keepsakes from your trip. From Tobu World Square Station take a train heading to Tobu Nikko Station in order to get to central Nikko. The ride will take a little over 30 minutes. Picture courtesy of TOBU Railway Co., LTD.
Tobu World Square Station happens to be located between Kinugawa Onsen and Shimoimachi, the section where, on certain days of the week, the SL Taiju operates three times a day. This train is pulled by a steam locomotive that was built in 1941, hence its particularly strong presence. By taking this train, you get to experience the atmosphere of mid-20th century Japan while sitting comfortably in your seat and enjoying the services on board. On the days when SL Taiju operates, you can travel from Tobu World Square Station to Shimaimachi Station by taking this train. For details on the timetable, please refer to the official homepage of SL Taiju. For a truly unforgettable experience of the history and culture of Nikko during your trip here, do consider taking a ride on the SL Taiju. Our recommendation for the afternoon is a visit to Nikko's World Heritage sites. In order reach the sites, from Tobu Nikko Station, take the bus from platform 2B located in front of the station. When getting on and off the bus, please show your Nikko Pass to the driver. After a six minute bus ride, get off at the Omotesando bus stop and you'll be right at the entrance to Nikko Toshogu Shrine. Nikko Toshogu Shrine is one of the most impressive monuments of architecture in Japan and a World Heritage site. The shrine as we know it today was built around mid-17th century. The grave of Tokugawa Ieyasu (1543 - 1616), the founder of the Tokugawa shogunate whose rule brought an era of peace and prosperity to the country, is located on the shrine grounds. The grandeur of all the shrine buildings and lavishness of the decorations are meant to honor Ieyasu and his legacy. One of the things that attracted Diyana's attention was this carving found on the building that used to house the horses brought as offering to the shrine. It represents the "Three Wise Monkeys", who speak no evil, hear no evil and see no evil. This carving is part of a series of decorations that depict the various stages in the life of a human being in a satirical manner. "The Sleeping Cat", a carving located above the entrance to Ieyasu's grave is just as famous. It is considered to be a metaphor for the age of peace brought in by the Ieyasu's rule. Take the time to view the buildings and their details, as each one of them tells a story connected to Japan's history. Nikko Toshogu Shrine is one of the greatest achievements of Japanese architecture and a display of the building techniques that flourished in the early Edo period. Access 5 minutes by Tobu Bus from Nikko Station (JR or Tobu Line) bound for Chuzenji Onsen or Yumoto Onsen. Get off at the Shinkyo bus stop and walk for 8 minutes. This great torii is the entrance to one of the oldest and most influential shrines in eastern Japan - Nikko Futarasan Shrine. It was founded here around 1300 years ago. Nikko Futarasan Shrine is considered to be the protector of family and human relationships. To the west of the main hall there is a garden with several other smaller shrines that is also nice to visit. Some of the trees on this shrine's ground are very old and are considered to be sacred. The beautiful Shinkyo Bridge located at the foot of the mountain where the World Heritage sites are located is also part of Nikko Futarasan Shrine. Diyana was very impressed by the beauty of this bridge hanging over the blue waters of the Daiya River. When a wedding is held at Nikko Futarasan Shrine, the bride and groom get to cross the bridge from one side to the other, an auspicious custom that marks the beginning of their new life together. Access 5 minutes by bus from Nikko Station. Get off at Nishisando bus stop. Price Visiting the shrine is free of charge. From Shinkyo Bridge bus stop, you can take the 16:33 bus back to Nikko Station. The train departing for Asakusa Station leaves at 17:23 and you have time to reserve your limited express train seats and pick up some souvenirs from the shops around the station. On the second floor of Tobu Nikko Station, there are prayer rooms that can be used upon request. Please ask for the key at the Tourist Center (open until 17:00). The prayer rooms are gender separated. After a day spent in beautiful Nikko, you can either return to Tokyo by taking the 17:23 limited express or stay at a hotel in the area and continue your explorations the next day. After all, your Nikko Pass world heritage area is valid for one more day! For more information on sightseeing in Nikko and the Nikko Pass, please visit this official webpage dedicated to the Nikko Pass.